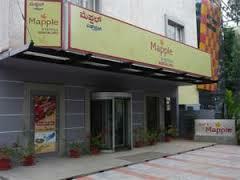 One of the important constituents among the Economy Hotels in Mahabaleshwar is centrally located. It is just a few steps away from the Bazaar. 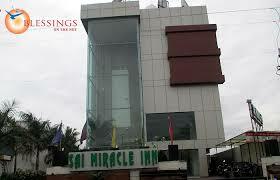 The hotel is easily accessible from major parts of Mahabaleshwar. The state of the art facilities and hospitable services make Hotel Sunny International in Mahabaleshwar one of the preferred destinations for your holidays. 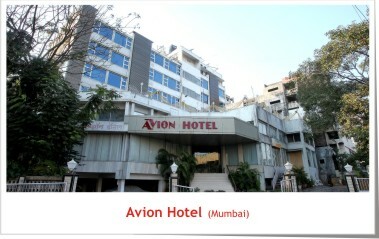 Avion Holiday Resort, a place where comfort, fun and relaxation meet. We are a 3 star deluxe property nestled in the hills on the old Mumbai-Pune highway which is a mere 100 km drive from Mumbai and 70 km from Pune. It is an ideal getaway for family, friends and office colleagues to spend a rocking, fun-filled time together. 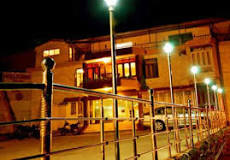 Hotel Laxmi Niwas is designed to help our guest relax in its 25 well appointed luxurious room. All rooms are equipped with modern amenities and have unique interiors. At Sun N Snow its either a Sun-day or a Snow-day. Mussoorie is a little piece of heaven on earth. You are destined to fall in love with our quaint little Himalayan hill station. Bathed in sparkling bright sunshine or covered in pristine white snow, the grand show of nature goes on forever. The joys of beings surrounded by lush green hills and breathing in the clean pine scented air rejuvenates the body, mind and soul. We just play cupid and ensure your love affair with nature. 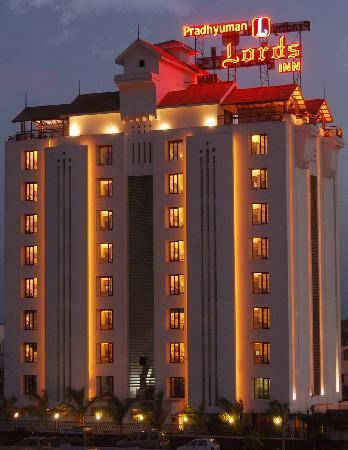 Cochin Seaport Hotel beckons you with the promise of finest, unobtrusive hospitality. Situated very close to the International Transshipment Container Terminal, the Cochin Seaport Hotel commands a magnificent view. Where you can watch both the backwaters as well as the sea, beyond the green belt of swaying coconut palms. Step into the quiet lobby. And you’ll know you’ve left the dust and din of the world quite far away. The lobby sets the mood for the warm, soothing experience of our hospitality. PROFILE Forest Haven Resort is located amidst 99 acres of cardamom plantations in the vicinity of the reserve forest area in Kallar, Munnar. Kallar is a little hamlet located at the scenic Adimali- Munnar Rd at about 14kms before the town of Munnar. 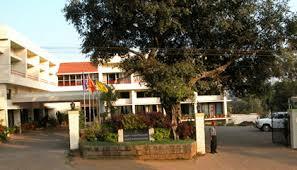 Situated on the beautiful foothills of Western Ghats, the climate here never wavers from pleasant to moderate. Tucked in a terrain of giant trees, winding mountain streams and pleasant verdure and aroma of spice plantations, Forest Haven is a tropical paradise where you can spend your time blissfully lost among the finer creations of God. The resort is a holiday package in itself that one need not go elsewhere to find entertainment!!!!! 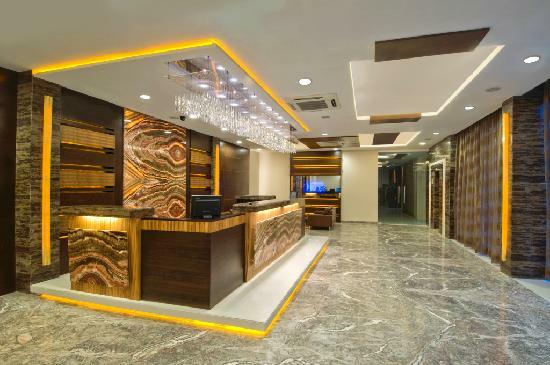 It has all modern amenities which include 24 well-appointed rooms, an impressive restaurant, a cool lounge coffee shop, conference hall, in-door &out-door sporting facilities and a children's park. However, the pride of the resort are its unique features like a refreshing natural swimming pool fashioned from the pristine mountain rivulets that winds through the plantation, awe-inspiring multiple trekking routes through and off the streams, an exhilarating terrain jeep ride, camping facilities and the amazing plantation tour. The stay at the resort is so mesmerizing that each guest takes home memories galore to cherish for a lifetime and a longing in their heart to bounce back to the resort at the earliest opportunity. 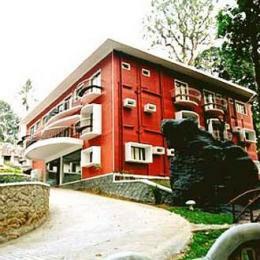 Holiday Vista - A five star luxury hotel situated in Thekkady - an important tourist attraction in Kerala, invites you to experience warm hospitlity. Holiday Vista is promoted by MSC Hotels & Resorts Pvt.Ltd. All thought your journey, you were dreaming it. As the winding road leads you through the green valleys of kumily open your eyes to witness the fineness of holiday vista mist and mother nature lusted you closer to this heaven on earth and from now onwards & would be holiday vista a star luxury destination that invites you to experience warm hospitality entering that welcoming lobby here discover a whole new day to celebrate your holiday. Cheravally Houseboats is one of the leading houseboat operators in Alleppey, Kerala. We have our own fleet of houseboats in Alleppey along with a permanent houseboat base in Alleppey. We are a professional organization with well experienced and educated staff who are dedicated, sincere and have practical knowledge of backwaters of Kerala to the minute details. We offer value for money houseboat tour packages in Kerala using our own fleet of houseboats, we lay stress on hygiene and believe in total customer satisfaction. We believe in the concept of teamwork and lay utmost importance on service delivery standards. We always keep clarity in cost, amenities, services offered regarding all our houseboat packages and there is nothing known as “Hidden Charge” in our work dictionary. 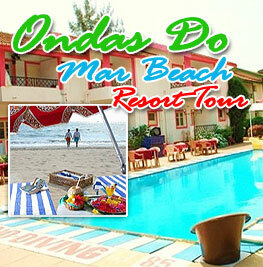 The Pappukutty Beach Resort hosts tourists at the heart of Kovalam the paradise of tourists for the last 15 years. It has beautiful and pleasing sea view with privacy and a distance from the folks is very special to enjoy the beauty of the Kovalam beach in its fullest. It offers accomodation in 34 rooms of 5 categories. 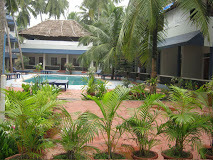 The swimming pool attached with the children pool is the biggest in Kovalam. It is also having a sea face multicusine restaurent. The rooms were adequate & clean. They had a sumptuous breakfast spread too. Well-connected as well. 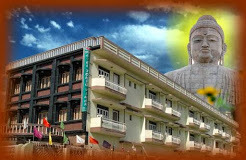 hotel is good , is a pride of Varanasi. 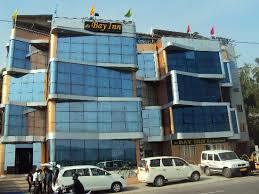 Location is good as it is at a distance from crowded Varanasi streets. Beds were comfy with hot shower. Lovely food & lovely service. people who work here are great & very helpful! I would definately return here again. 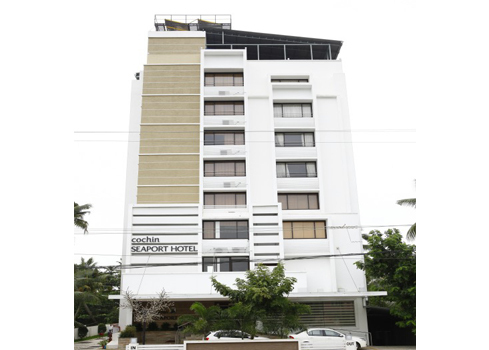 Hotel Mainak and Health Club situated in Port Blair is a 3 star property that offers 28 well-furnished rooms that are divided into Standard, Deluxe and Super Deluxe categories. All these rooms are provided with requisite amenities and attached bathrooms. The hotel lies in proximity to popular hotspots of this place, including Cellular Jail, Ross Island and Chatham Saw Mill. Naturally, the in-house speciality is sea food-crabs, lobsters and a wide variety of fish, straight from the nets of the local fishermen. An ideal Beach Resort, the peace and beauty crystalised for you would make you touch the depth of the mysterious sea world. 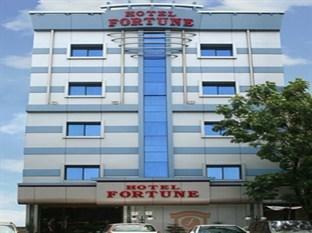 Jamnagar Fortune Palace hotel provides the highest level of service, ultimate in comfort and style with exquisite cuisine, relaxing leisure facilities and extensive banquet and conference service. Excellent Ambiance, Excellent Food & unbeatable services. highly recommended. Very good 3 star hotel. Nice facilities and good rooms. Overall very good. The hotel is very comfortable. A 3 star hotel providing 5 star services. Sumptious buffet breakfast, very good House Keeping, courteous and polite staff and a picturesque well maintained hotel. A highly recommended place!!! Its a superb hotel.. The room are cleaned and good. Saw the cottages its also good. They give 3 meals ... the food is awesome.. the service also good.. reasonable hotel... game zone, swimming pool, gym all good.. the best hotel at gir..
Nice rooms and good house keeping good experience.Great service. Very good for the price. 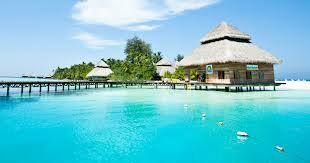 The best resort in Maldives.excellent food n facilities. Hotel near Abu Baker Metro Station. 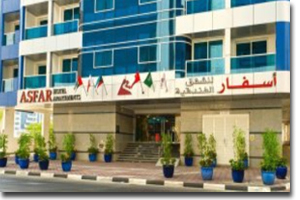 Asfar hotel is a good place to stay if you are driving a car in Dubai.Grand Mart is a walking distance .The food court at the mall across the road and the middle east restaurants next to Grand Mart is also easily accessible. There is also a masjid nearby (also walking distance). Strongly recommend this apartment. “Great location for New Delhi” as part of the Golden Triangle Tour. The hotel is well appointed and the staff friendly an helpful. The room is well furnished and the bed very comfortable. There is a good choice of breakfast foods. Big and sufficient,,Maintainence super, Excellent stay. Very good service. Well designed lobby.Nice restaurant, Pavilion, and excellent bar (Den). 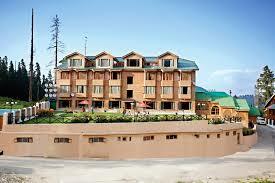 The Hotel is ideal for sightseeing of famous Har Ki Pauri pilgrimage. 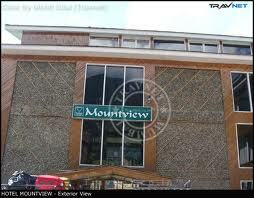 Another place to visit nearby is Mussoorie which is just 22 km from the hotel. 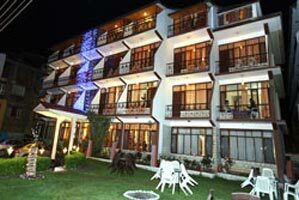 Despite of being budget hotel, Sugandha Deluxe provides luxury comforts and sightseeing facilities. The Jolly Grant airport, Dehradun is situated at a distance of 35 km from the hotel whereas, both the Haridwar railway station and local bus stand is 3 km away. Svasara Resorts invites you to come indulge in the intimacy of our resort and its 12 luxury suites. Refreshing hues of earthy yellows, orange and green make the rooms a perfect place to relax and prepare for the Tadoba jungle experience. Amazing park, While the forest is beautiful and full of birds and animals, The safaris are conducted in privately owned vehicles with licenced guides. Definitely worth a visit, ideally off season just before the monsoons. 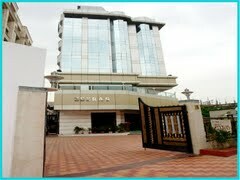 Hotel CJ International is an ideal & excellent place to stay if your in amritsar. This place is clean and tidy & is just opposite the Golden Temple & aslo walking distance to the jallianwala bagh . Excellent place to stay.. impressed with the service, ambience, quality food etc. This hotel is the best hotel money can buy. as soon as you enter the lobby you get the royal feeling . the rooms are well funished and the staff is very helpful and makes sure you get everyhting you need. Rooms: 79 CENTRALLY LOCATED, FREE WIFI, AIR-CON, PARKING (FEES APPLY), LIFTS, SPACIOUS ROOMS, ATTENTIVE SERVICE, FRIENDLY STAFF. The New hotel is located very near to Constitution Square just beyond Plaka, the oldest part of Athens adjacent to the Acropolis and its new museum. 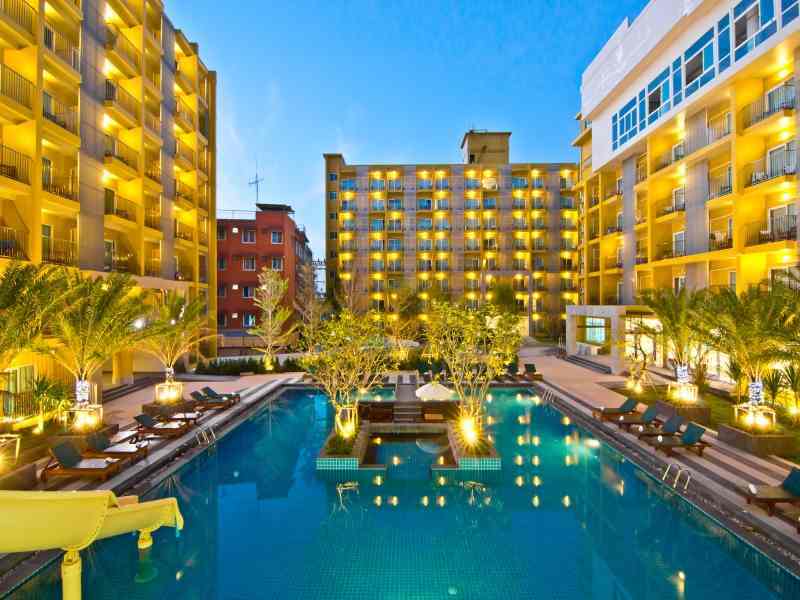 It is a centrally located hotel that has easy access to the main business, shopping and attractions area, with multiple restuarants and bars nearby. It is 19 miles to the airport (Athens International), a 6 minute walk to the nearest train, metro, tram and bus station (Constitution), and a few steps to nearby bus and tram stops. Rooms: 107 QUIETLY LOCATED NEXT TO THE SEA, STUNNING PANORAMIC VIEWS, AIR CONDITIONING , FREE PRIVATE PARKING, LIFT, FREE WIFI ACCESS, SWIMMING POOLS , ATTENTIVE SERVICE, SPACIOUS ROOMS. The Mykonos Grand Hotel and Resort is located in the romantic and unique area of Agios Ioannis, next to the azure Aegean Sea, the inviting golden sands of its beach and the quiet, calm lifestyle. Guests will be able to find archeological sites, restaurants and bars in the nearby area. For those wanting to experiment the lively and world-known nightlife of the capital, Mykonos Town is 3 miles away. It is situated 3 miles away from the airport (Mykonos Island National Airport), 3 mile to Mykonos town and its port, and a 5 minute walk to a small nearby port with taxy boats. Property Style: Boutique Design Suite Hotel Rooms: 27 LOCATED IN THE WEST SIDE OF THE ISLAND, OVERLOOKING THE CALDERA, VIEWS OF THE SEA, SKAROS AND THE VOLCANO; FREE WIFI ACCESS, SWIMMING POOL, AIR CONDITIONING , FREE NEARBY PUBLIC PARKING. The Astra Suites Santorini is located right in the cliffside of Imerovigli, overlooking the caldera, with stuning views of the Aegean Sea, the volcano and the Skaros promontory, with its medieval castle jutting into the sea. 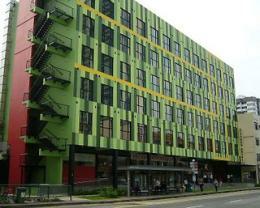 Near to the hotel, guests will find restaurants and markets, as well as bus stops, car rental and taxi services. Fira town is just a mile away from the hotel as is the nearest Harbour (Fira Old Port), and the airport (Thira National Airport) is 5 miles away from the hotel. Located on Jalan Tiong Nam off the busy Jalan Raja Laut, the hotel is a mere 5 minute walk to the Jalan Sultan Ismail STAR LRT Station, and less than 10 minutes to the Medan Tuanku Monorail Station. And for your basic shopping needs, Maju Junction is a 10 minute walk. 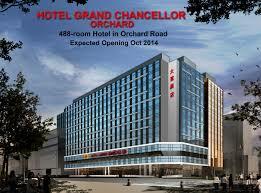 Kuala Lumpur International Airport is less than an hour’s drive from the property. Value for what you spent. Rooms clean and big. 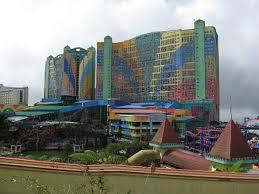 AC is not required as Genting Highands has a cold weather. Indoor Theme park in inside the hotel premises. Variety of food outlets there. 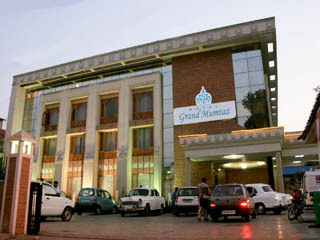 The Grand Mumtaz Resorts hotel is strategically located near to the world highest gondola. The rooms are clean and comfortable. Food served here is clean and of many variety to serve the different taste buds. "Beautiful location, loved the woody construction and its fragrance!" The endless beauty of this part of the world never fails to harm the viewers with its changing scenes from dazzling white snow to the winters to blooming fragrance of Spring. 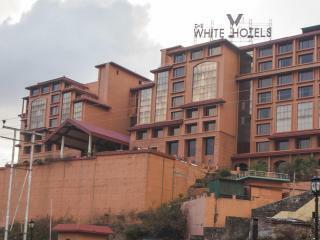 White Hotel is a 200 room Hotel located at the base of the Vaishnovdevi shrine in Jammu. The rooms overlook the Valley from one end and the Mountains from the other. For religious devotees, a glimpse of the Vaishnovdevi Shrine is a spritual journey of deep faith and fulfillment. Bangalore Airport : 250 KM, Mysore Railway Station : 120 KM Location: Yelahanka Dubare Elephant Camp, located on the other side of River Cauvery, offers complete peace and tranquility. The camp is located about 17 km. from the Siddapur Main Road. One can take the route from Bangalore via Mysore, Kushalnagar, Gudde Hosur (4 km. from Kushalnagar on BM Road) to reach the Dubare Elephant Camp. The camp offers all the modern amenities for a comfortable stay. 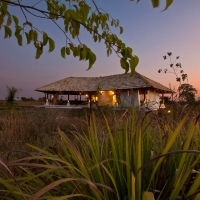 Dubare Elephant Camp offers 10 luxurious cottages with attached bath. Electricity is provided through electric generator in the mornings and evenings. 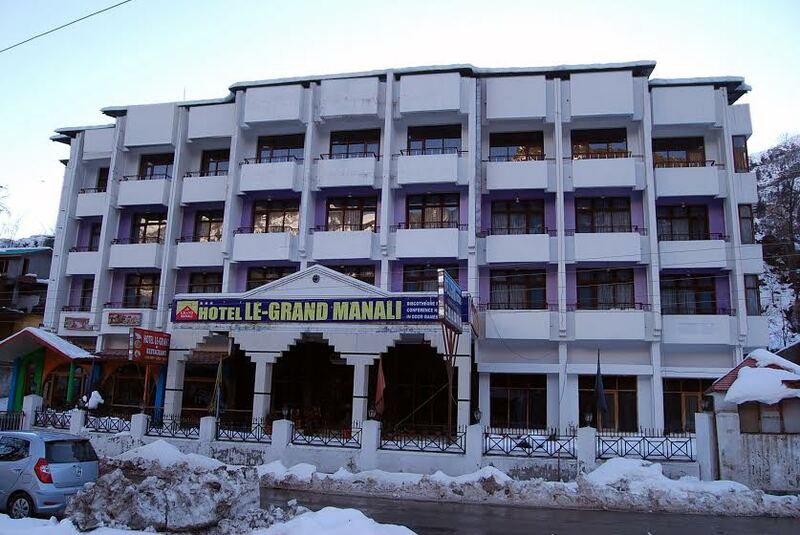 "Spacious rooms, good Indian & international food" Hotel Natraj is best hotel in Manali. Location wise very good, very big rooms in hotel for family and group tour. They have large restaurant and banquette hall they make many type Indian and international food. Hotel lobby is very good they have very big parking, hotel staff is very good rate wise hotel good. Sajid 's rating on. It creates an unexpected sensation. It is just above the Ganges , Ganga mandir, The Gangaaratis all are visible from the balcony and even from room. In the morning the room is full of sunlight, so natural.